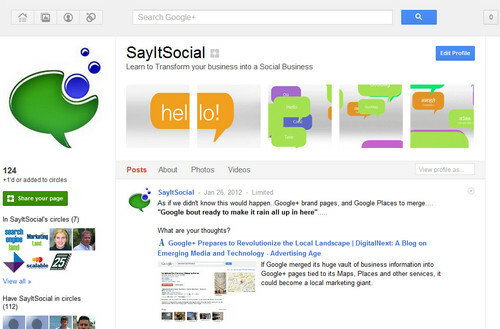 Google+ brand pages are slowly making a splash with big brands adoption. Obviously Google+ does not have the tools & applications it’s competitor Facebook has, but does have a cool feature to catch the eye of the visitor, animated scrapbook photos in the header. Until developers are allowed full access to Google+ API, one can only get creative not only with page content, but with animation. Below are a few examples of killer creative Google+ pages, followed by tips on how to make animated gif Google+ scrapbook photos. If you know of a super creative Google+ brand or personal profile using animated gifs, please tell us about them, and post the link below! By far one of the coolest personal pages we’ve seen, a moving SHARK!. 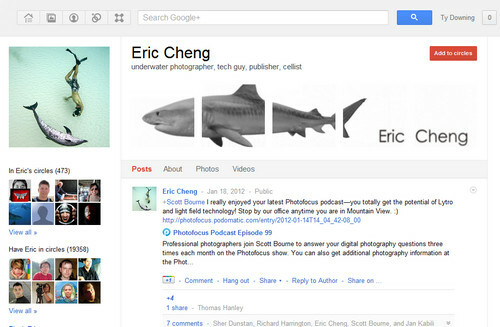 Eric’s Google+ page. Awesome seasonal effect of snow falling. I wonder what they’ll do for Spring? 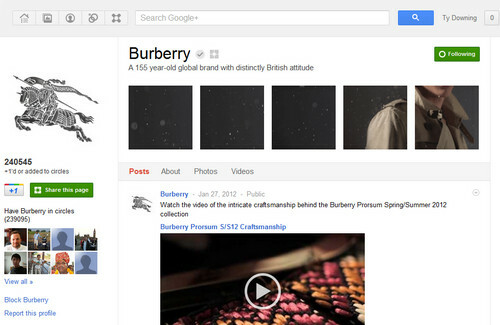 Burberry Google+ page. He uses stop animation in this fast moving scrapbook. If you stay on the page too long, could be too much, but at least you can circle him and move on! 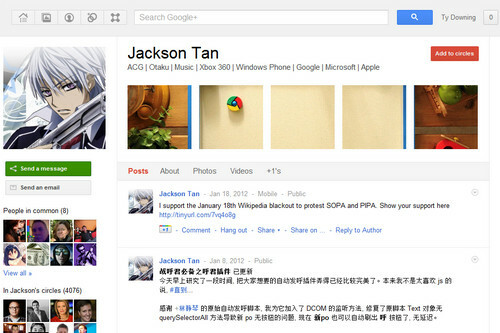 Jackson Tan Google+ page. You Star Wars buffs will LOVE this Google+ scrapbook. 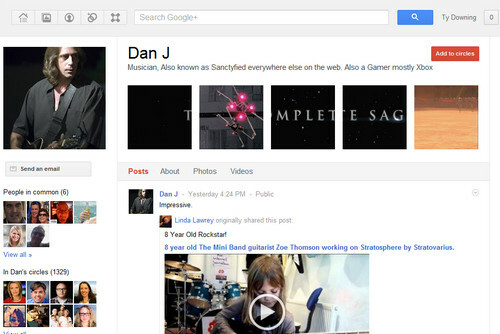 Dan J’s Google+ page. Awesome 3D effect coming at you! They use amazing animation with killer perspective! 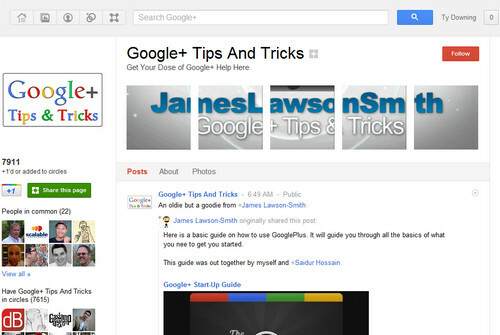 Google+ Tips And Tricks Google+ page. Now, how did all of these creative people make these? Below are a few helpful resources, and tips on how to make Google+ animated gif scrapbook images. Giles extensive Google+ post on how to create these. 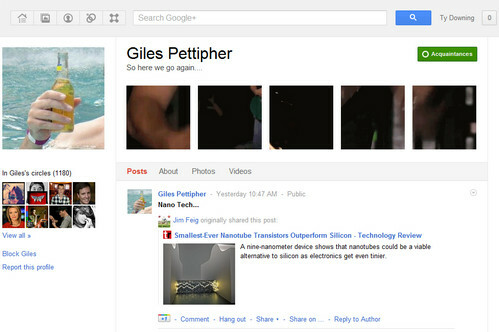 Giles Google+ post. Please visit our page below, we’d love to connect with you on Google+ too!